He's the hero Gotham deserves, and now he's the latest PVC Diorama in the DC Movie Gallery line! 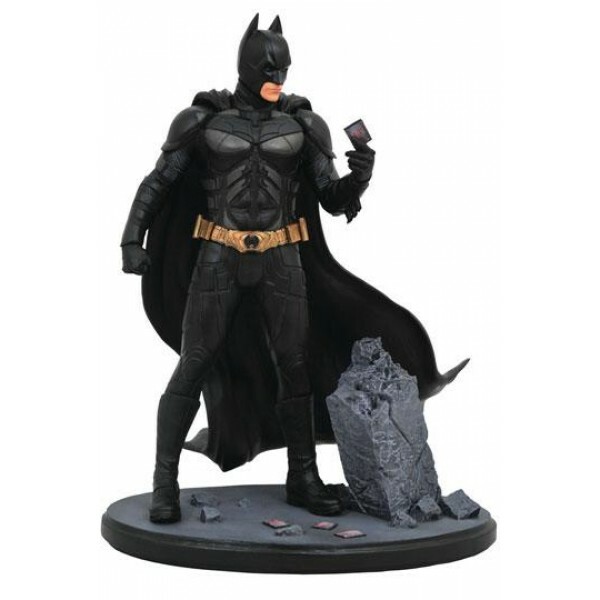 Based on Christopher Nolan's movie The Dark Knight, this sculpture of Batman shows him examining a playing card amid the rubble of one of the Joker's escapades. Measuring approximately 23 cm tall, this movie-accurate diorama comes packaged in a full-color window box. Designed by Shawn Knapp, and sculpted by Rocco Tartamella!